A view up Kirkfell Crags from Black Sail Pass. 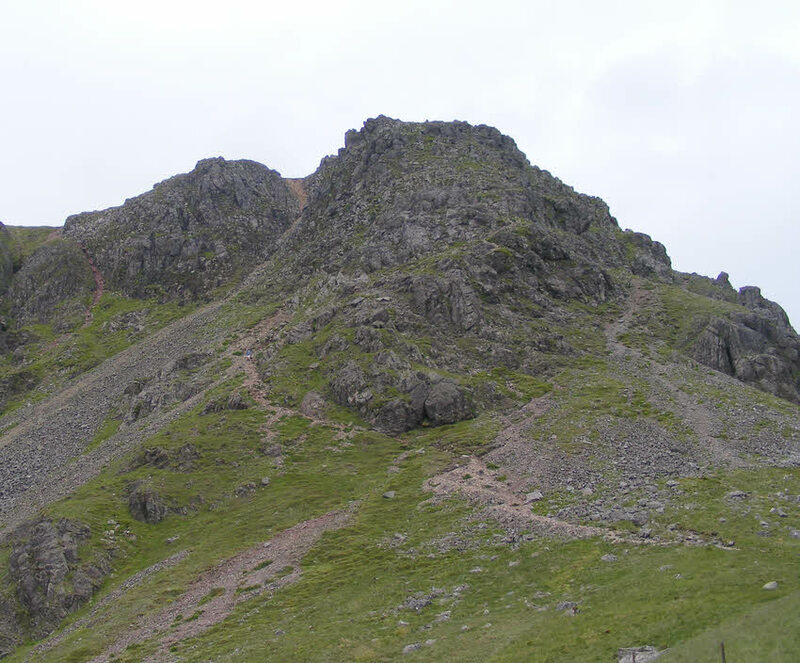 The start of the path up the crag onto the top of Kirk Fell can be seen, but the route then rather disappears into the crags. I have met a group that had climbed up the gully to the left!